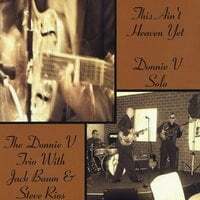 Donnie V | Donnie V Christian Blues | Prayer Request or Comments : Post Your Prayer Requests Here!!! Post Your Prayer Requests Here!!! You Can Post Your Prayer Request Here!! Any needs, praise reports that we can join in praying for you along with all our FAMILY who visit the sight please feel free to put them here!!! We'd LOVE to be praying for you!! !